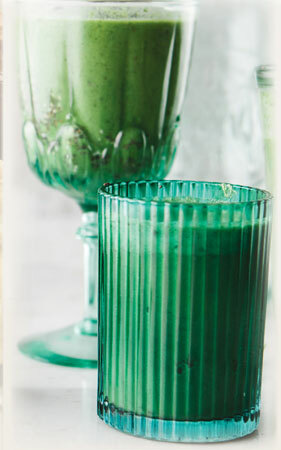 Sure, running a blender when in a delicate condition can be pretty nerve-jangling, but this smoothie is full of restorative B vitamins, and potassium and other electrolytes. Why not wear ear protection, or, better yet, assemble the ingredients in the blender jar and persuade an unaffected family member to push the button while you hide your head in a nearby bunker? Add ingredients, along with several ice cubes, to the blender. Brace yourself, knowing the cure is forthcoming. Blend and enjoy.